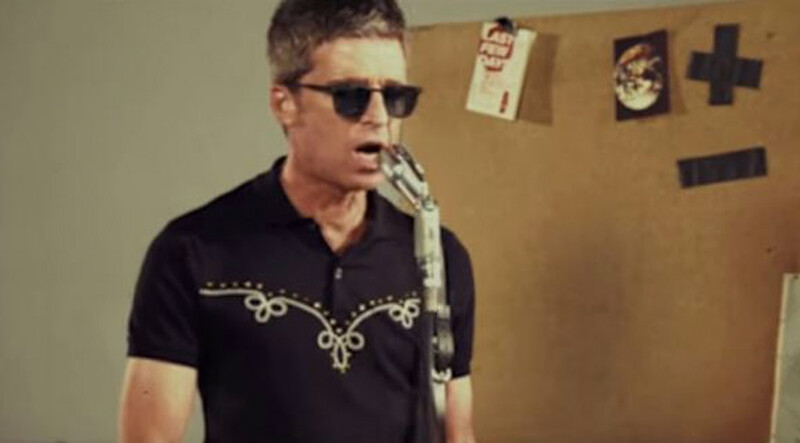 Noel Gallagher’s High Flying Birds go retro in the video for ‘It’s A Beautiful World’, the second single from their third album ‘Who Built the Moon?’ It certainly seems like a nostalgic venture for the former Oasis star. Intertwined with earthly imagery, the video is shot in what looks like a VHS-style format. The band are playing in some kind of vintage studio set-up, while imagery from various parts of world history flash by. ‘It’s A Beautiful’ follows their last single ‘Holy Mountain’ which was the lead single from ‘Who Built The Moon?’, an album produced by David Holmes and which became their third consecutive UK number one. Noel Gallagher’s High Flying Birds have more than fifty tour dates coming up that will take them across the UK, Europe, the US, Canada, Mexico and even to Japan. The dates include festival appearances like Austin City Limits, Vive Latino, The Biggest Weekend, I-Days Festival, and Summersonic.